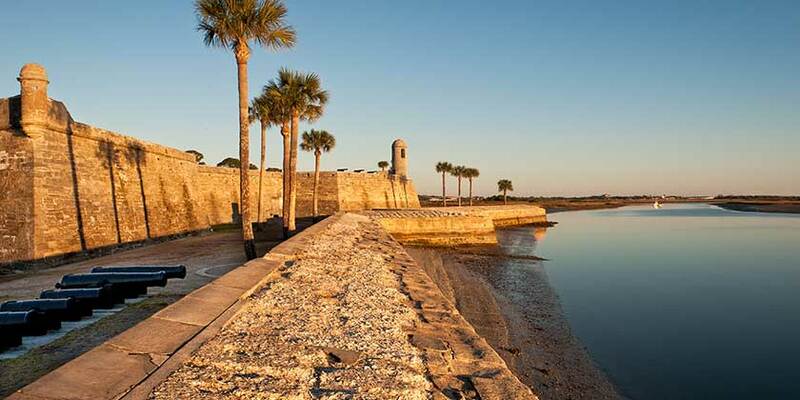 Sometimes known as “The Nation’s Oldest City,” St. Augustine’s claim to fame is that it is the longest continually inhabited city founded by Europeans in the United States. This charming city is infused with four centuries of history, and here you will see influences from the Spanish, English, Greeks, Native Americans, and more. Visitors can wander through museums, see the Fountain of Youth, explore the Castillo de San Marcos, and see the Oldest Wooden Schoolhouse. And after a day of immersing yourself in history, there are more than 40 miles of secluded coastline perfect for relaxing in the sun.